Note: No spoilers here. If you liked the ending for Episode 2, then wait until you see this one…you may not like it, but it’s definitely going to have an impact on you. 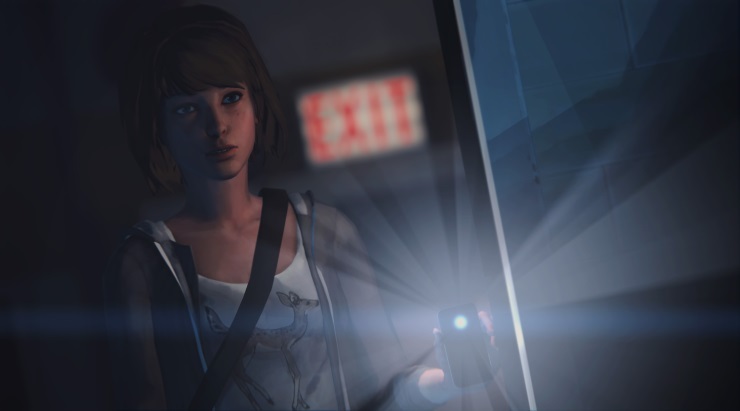 Life is Strange continues as this latest third installment, subtitled Chaos Theory, in the mystery adventure game series adds a new wrinkle in time for photography student Max. Character focuses shift, surprises abound, and tense emotional situations all take the forefront. Follow-up with one key character is a unique, constant element as players must explore every area for a comprehensive view as the other constant plotline, the mystery of the missing student Rachel, anchors the main plot. Characters repeat these points a little too much, but overall developers respect the intelligence of the audience. A key item collection task requires players’ memory recollection. New players can stumble through this task through trial-and-error, but saving time in menial tasks improves the game experience. Some stealth tasks create some tension and thrills, especially the stealth sequence when Max teams up with another main character. Max’s investigating actions reveal more data and revelations, which always have consequences that players get to see first hand. Uncovering personal information has equally personal ramifications where characters react and act on the spot more often, so players now must seemingly track the long-standing issues as well as these new ones. The complimentary elements like Max’s text messages on her phone, photo albums, and others (just press the PS4 controller touchpad to access) also gradually increase in importance. Dialogue can seem awkward and cheesy at times, but it grounds the reality even more. What person says the “right” thing all the time in every situation? Characters say what they feel. If players react in any way, then the experience just becomes deeper and more engaging. Still the excitement this episode reflects the story perfectly – remembering great past moments, concentrating on the present and looking forward to the future challenges. Cannot wait to check my message at the beginning of the next episode (4).